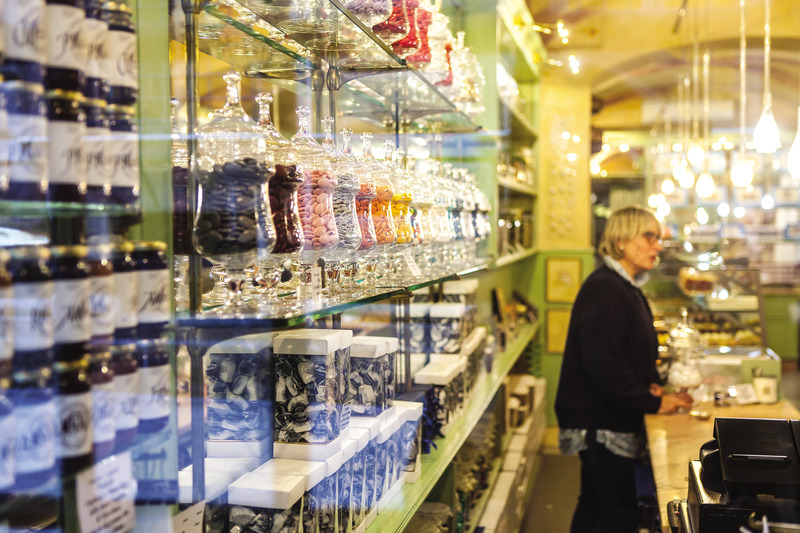 Genoa is a city closely bound up with tradition: in its historic centre, countless old shops can be found that have been in businesses for many years. These historic shops are located in centuries-old buildings woven into the fabric of the historic centre, the architecture, decor, tools and historical documents show that many of them have a history stretching back at least 70 years, and in some cases as long as two centuries; confectionery, tailors shops suppliers of the royal house of England, where tailors make ties by hand, tripe shops, pharmacies and many others. People often think to Genoa as maritime republic, home to skilled sailors and explorers of seas, always away from home, pledged to leave a mark of their presence in far away places such as the "Galata" Istanbul neighborhood, the old Constantinople, or to fight against the famous pirates that inspired Emilio Salgari in his novels pushing his imagination down to Panama. You rarely think to the Genoese who stayed at home, carrying on business activities, past ages witnesses overlooking the harbour. Some of those businesses have survived almost unchanged over the years, surpassing world wars, economic crises and times to finally get to this day. They are alive and lived places, where everyday work people who have to know how to renew every day to stay on the market, always in step with the times without losing sight of the link with tradition. 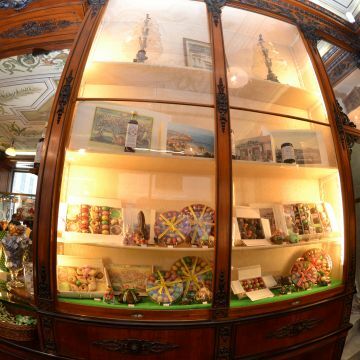 In the Genoese historic shops, among fine furnishings and windows framed with delicacies of every kind, peep irresistible goodies! Fondants, jellies, candies, chocolates and a colorful profusion of fruits and candied flowers, produced by the exotic charm, introduced from the East at the time of the Crusades and in whose work Genova already excelled in Medieval and Renaissance ages. 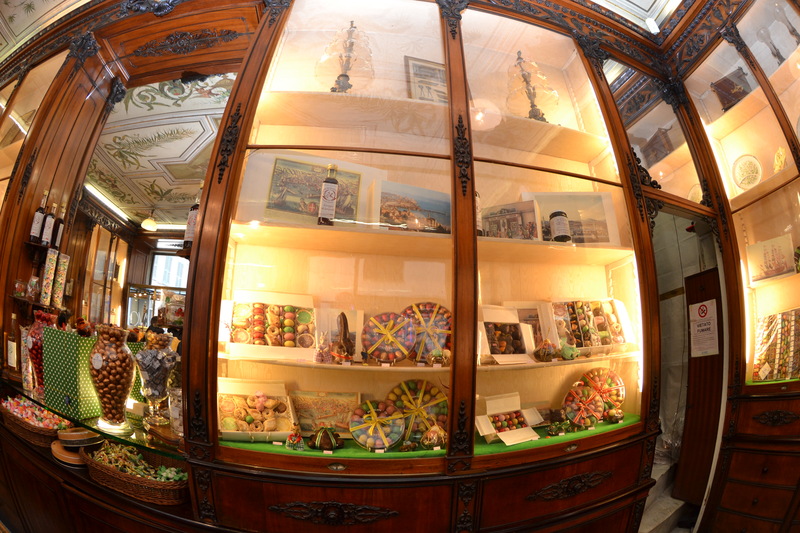 From the historic shops come other sweet delicacies, such as the Sacripantina, exquisite dome sponge cake stuffed with cocoa and butter cream, or the Zena cake, a multilayer irresistible delight and finally the sweet Genovese par excellence, the Pandolce, a baked 'bread', which houses inside a triumph of raisins, orange peel, lime and fennel seeds, available in two versions, short and crumbly, or high and soft, leavened sourdough. The Pandolce was born, according to legend, at the behest of Andrea Doria. The famous Genoese admiral held a contest to pack a sweet able to represent the prestige of the "Superba" and preserved during long sea crossings, thus ensuring the Genoese sailors the chance to celebrate Christmas also on board the galleys. To preserve this enormously significant heritage, a "Regional Register of Historic Shops” has been drawn up, listing businesses that have been in operation for at least 70 years and that meet a whole series of requirements set down by the Soprintendenza per i Beni Architettonici (Department for Architectural Heritage). 41 shops are already on this list and many other businesses are pending assessment by a team of experts. The charm of the historic shops that Genoa has retained as a few other Italian cities, is part of the attractiveness of the tourist town ... "to go to" shops in the alleyways and small squares is a unique and unrepeatable experience. 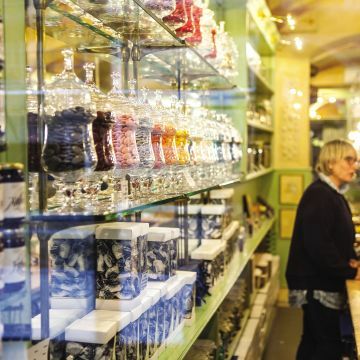 Every Friday at 3.30 p.m. a guided tour will lead through the old shops passing by the streets of the old town, with a quick stop at the most important monuments and an outdoor explanation of historical shops; each visit includes also the entrance in two old shops and a tasting experience. Price: € 14,00 (except where otherwise specified)– free for children up to 6 y.o.